RET is set to join the list of ever-expanding actionable driver mutations for non–small cell lung cancer (NSCLC), as there are now 3 highly effective therapies in development, according to a presentation by Paul Baas, MD, PhD, at the 19th Annual International Lung Cancer Congress (ILCC). "Four years ago, there was not so much to do for RET, there was vinorelbine as the so-called standard of care and a few drugs being tested. 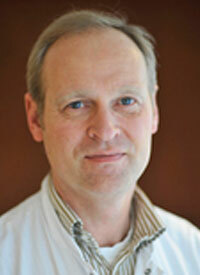 Luckily, things have changed," said Baas, Department of Thoracic Oncology, The Netherlands Cancer Institute. "RET is low incidence, but it is certainly worth looking for because if we identify these patients they can be entered into studies." RET is a receptor tyrosine kinase that plays a crucial role in cell growth and differentiation. RET alterations are relatively rare (1% to 2% of NSCLC) and commonly occur in younger patients, unrelated to prior smoking status or gender. RET aberrations are usually the result of a gene fusion, most commonly between RET and KIF5B or CCDV6. On top of this, there are also a host of gatekeeper mutations that typically denote resistance to therapy, particularly V804L and V804M. The 3 most promising RET inhibitors in development include LOXO-292, BLU-667, and RXDX-105, Baas noted. Given the small number of patients with RET mutations, the approvals for these agents are likely to follow a unique regulatory pathway, much like the first FDA indication for ROS1, which was based on objective response rate (ORR) in a 50-patient study. According to ILCC co-chair David R. Gandara, MD, who has consulted with the FDA on this matter, a threshold for accelerated approval for a RET inhibitor along with a companion diagnostic would be an ORR of more than 40% with a good toxicity profile. A confirmatory study would be required for other endpoints, like progression-free and overall survival, he noted. The RET inhibitor LOXO-292 has generated great interest, given a high level of response across RET fusion partners and regardless of gatekeeper mutations and a very mild toxicity profile, noted Baas. In the LIBRETTO-001 study,1 patients with RET fusion-positive NSCLC (n = 38) had an ORR of 77% (95% CI, 58%-90%), which included responses in patients with measurable intracranial lesions. Overall, there were 20 partial responses (PRs) and 3 PRs that were still awaiting confirmation on subsequent scans with LOXO-292. Four patients had stable disease and 3 were not yet evaluable. Most treatment-emergent adverse events (TEAEs) in the study were grade 1 in severity. There were only 2 treatment-related grade 3 AEs and no grade 4 events. "LOXO-292 is a very selective RET inhibitor that also inhibits some of the resistance mechanisms, which makes it very interesting to look at," said Baas. "It has a very favorable toxicity profile. This looks promising, especially if you take into account the safety profile. There is hardly any grade 3 and no grade 4 reported here." The phase I ARROW trial showed promise for BLU-667 across fusion partners.2 The ORR in patients with NSCLC (n = 14) was 50%, which consisted of 5 confirmed PRs and 2 unconfirmed PRs. Thirty-six percent of patients also experienced stable disease. Activity was seen in patients with brain metastases and for those pretreated with other multikinase inhibitors. Most AEs with BLU-667 were grade 1 in severity, with 16% of patients having a grade 3 treatment-related AE (TRAE). The most common grade 3 TEAEs were hypertension (8%) and neutropenia (4%). Enrollment in an expansion cohort of the ARROW study is ongoing, with a target enrollment for the full study of 115 patients (NCT03037385). "This has shown broad activity against all kinds of RET partners," said Baas. "There is activity reported. The toxicity is just like LOXO-292, there's no grade 4 or 5 reported. Only some grade 3 toxicity, like hypertension and ALT increase has been shown." For the third RET inhibitor, RXDX-105, results from a phase Ib study were reported in 2017.3 In patients with non-KIF5B RET fusion-positive NSCLC (n = 8), the ORR was 75% (95% CI, 34.9%-96.8%). However, in those with RET-KIF5B fusions (n = 14), which is the most common fusion partner, there were no responses, with 3 patients having stable disease. Adverse events with RXDX-105 were mild, with serious AEs experienced by 9% of patients. The most common grade ≥3 TRAEs across all patients and doses utilized so far (n = 152) included rash (10%), hypophosphatemia (7%), elevated alanine aminotransferase (7%), diarrhea (4%), and elevated aspartate aminotransferase (4%).